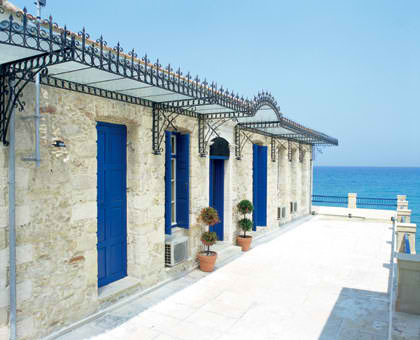 Built in 1886, right on the beach, the hotel was initially the summer residence for the Rethymno Turkish lord, Alpan Passah. During early 20th century, it was converted into a Girls School, while after the war it was turned into a Sardine Factory, since it was located right on the seashore. 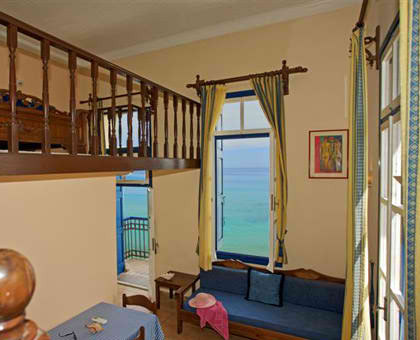 Finally, in 1985 and after several years of abandonment, it became the Delfini Beach Hotel. The hotel was named Delfini Beach during the building renovation in 1999. 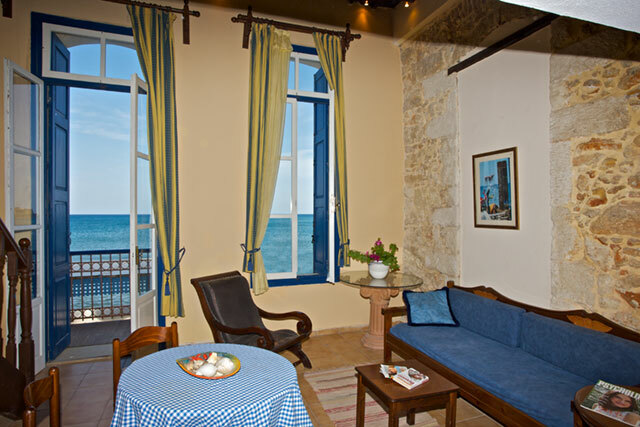 Location: 1 km from the centre of Rethymno Town. Features/Characteristics: Build on the beach. 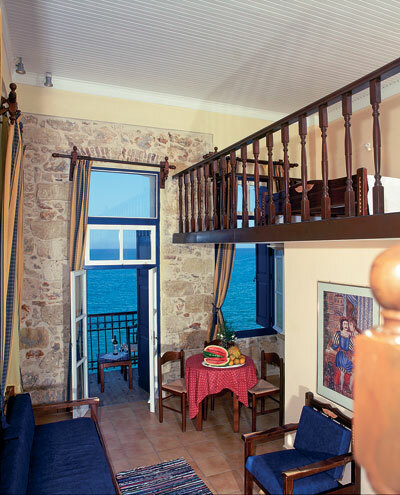 It boasts panoramic views of the Venetian castle Fortezza. It provides a wonderful private beach so you can soak up the sun and enjoy the sea, while sipping on your preferred cool beverage. 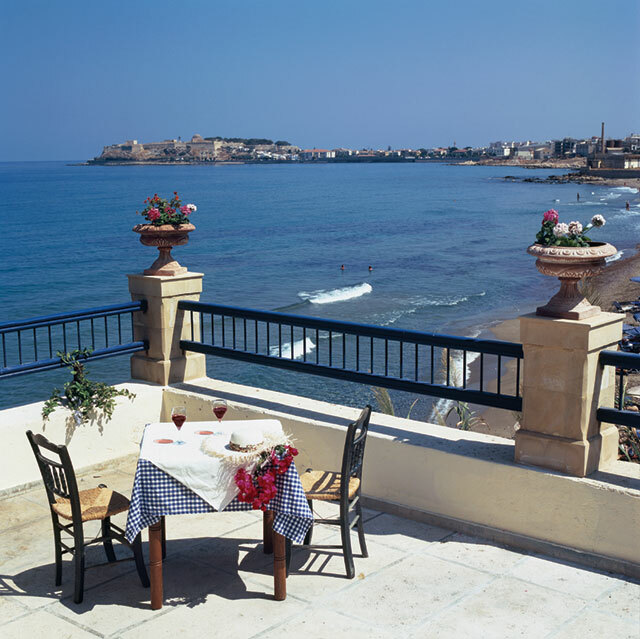 12 spacious maisonettes - Large balconies and verandas - Sea view - Panoramic view of the Venetian castle - Fortezza and the Rethymno Port. 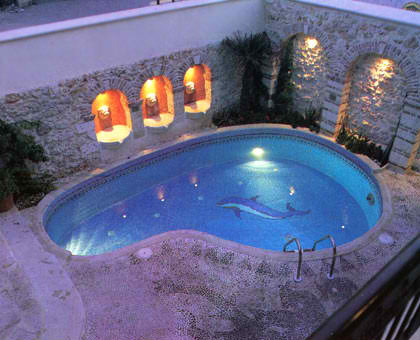 Sleeps: 2-4 persons each maisonette. Services: Reception: available for 12hours during the day - Safe boxes - Currency Conversion: 24hr operation - Fax Service(in a separate area) - Computer use and Internet access: you can check your e-mail daily. Mail Service. Car, Bike and Motorcycle Rental: we will arrange for the delivery/collection of your preferred vehicle at the hotel or any other location on Crete island. 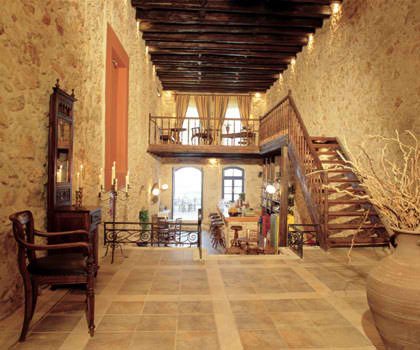 Excursions: information and ticketing for excursions around Crete, as well as on Santorini island. 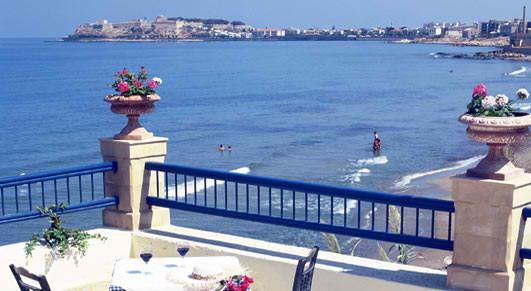 Private Beach: On our private beach you can quietly enjoy the sun and the sea, while having a cool drink. Amenities: Air-conditioning - TV set - Fridge/Mini-bar - Phone with outside line - Music - Bath - Hair dryer - Safe box - Sound proofing. 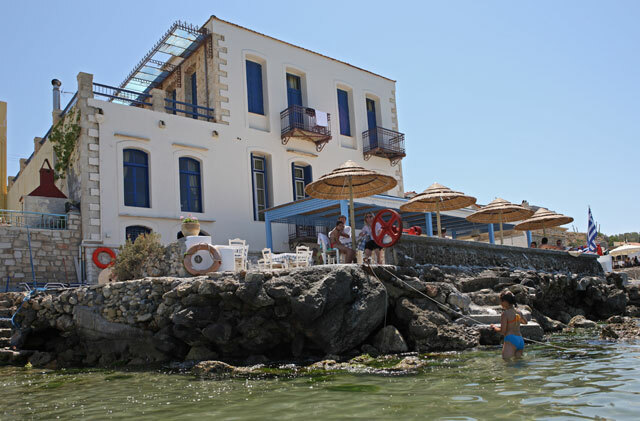 At the Delfini Beach hotel, you will find 2 of the most well-known restaurants and taverns of Rethymno Town, as well as of the entire island: the ALMIRA (meaning Sardine Factory, since that was what the building was originally used for during the middle of the 20th century). RESTAURANT – BAR: A unique restaurant - bar focusing on high cuisine and offering an exceptional wine cellar. 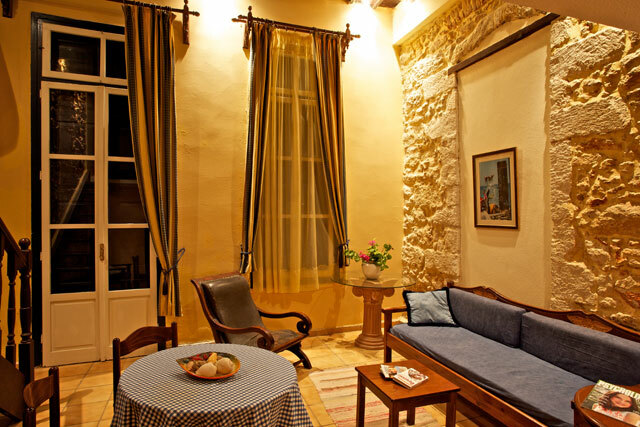 Here, you can taste delicious meals of traditional Cretan flavors, as well as international dishes, while relishing the warmth of the surrounding setting. 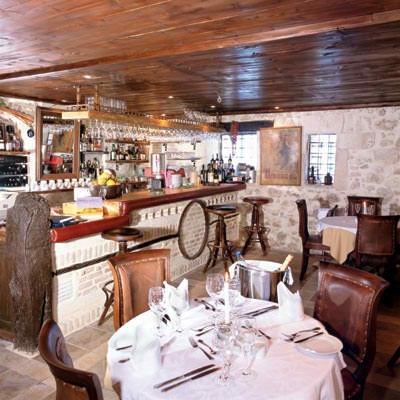 TAVERN: At the tavern, which is located on the beach and operates only during the summer season, you can enjoy fresh fish, refreshing salads and delicious Cretan flavors. Let the tastes of the sea fill your mouth and the colors of the sunset capture your eyes. Unique culinary delicacies can be relished at its interior restaurant and bar, and during the summer at the tavern, which is literally located right on the beach.